Yellow peas are an excellent source of highly bioavailable protein and happily not considered one of the major dietary allergens. 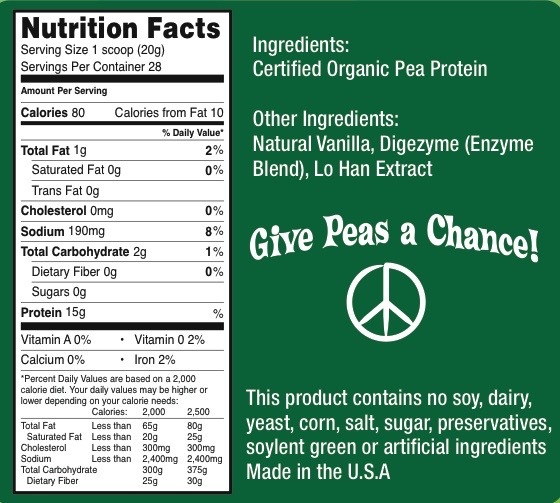 Blender Culture Organic Pea Protein also contains digestive enzymes (digezyme) for superior assimilation and tolerance with Vanilla and LoHan added for a wonderful tasting flavor, perfect for your blender drinks. You will find very few Organic Pea Proteins (if any) contain digestive enzymes which can be helpful to those who normally experience discomfort from pea proteins. Organic Pea Protein is great for vegans and athletes looking for a high quality protein supplement to assist in the recovery process. Anyone for whom soy or dairy-based proteins aren't an option, pea protein is close to perfect when it comes to human nutrition and features a naturally balanced amino acid profile that includes high concentrations of BCAA’s (branched-chain amino acids) and glutamine. This makes it ideal for fueling lean muscle development and recovery or for those simply seeking to supplement their daily protein intake. More and more strength-training athletes and body builders are turning to pea protein as a high quality vegetarian alternative to whey protein products that can cause bloating. Additionally pea protein powder can be added to just about anything! 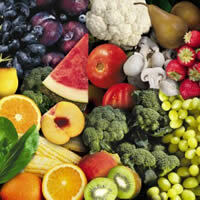 Homemade energy bars, milk shakes, oatmeal, cereal, pasta sauce, baked breads etc.